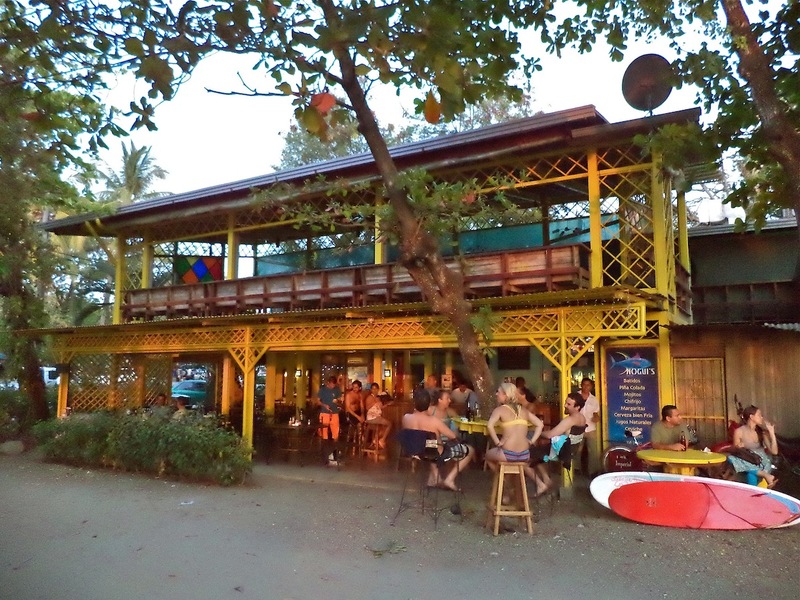 Nogui's Restaurant ~ Tamarindo Beach, Costa Rica. 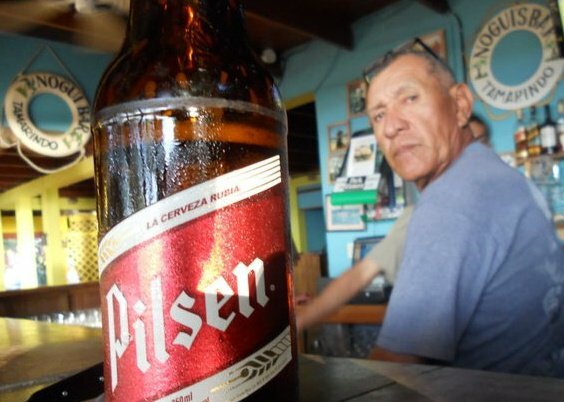 When Nogui Acosta opened his bar in 1974, Tamarindo was a small town at the end of an unpaved road, without running water, phones or electricity. Blocks of ice were delivered on Thursday. Beer would stay cold until Saturday, and after that, the surfers who camped in front of the bar would drink their beer “au natural” – warm. 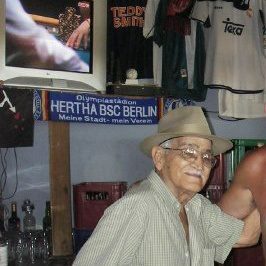 People have always made Nogui´s their unofficial office. Artisanal fisherman brought their catch here to be weighed and sold. In the 1970s, , when half the local population was making a living gathering pukka shells in Playa Langosta, Nogui’s was the center of the trade and the floor was littered with white shells. Now, free wi-fi internet access allows the new generation to conduct business over a casual breakfast or lunch. Sunset cocktails at Nogui’s has long been a Tamarindo tradition, but in the early days, you had to make a reservation days in advance for dinner. 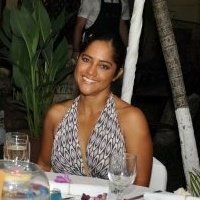 Sportsfishermen would bring their catch to Noguis to be prepared by Nogui’s wife, Doña Luz. All meals were served with traditional Costa Rican sides dishes: red beans, rice, cabbage salad and picadillo. Doña Luz also made the most amazing hot puffy potato chips, lobster tails sautéed in butter & garlic, and pineapple pie. These dishes taste the same today as they did in 1974. They are, in essence, the taste of Tamarindo. 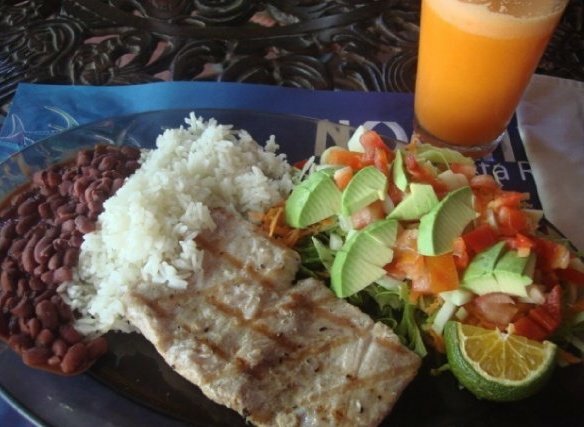 Nogui Bar has expanded with the town, and now serves breakfast, lunch and dinner 6 days a week. Plan your day over breakfast as you check out the swell and hear the fishing report. Enjoy lunch in the welcoming shade under a cooling ceiling fan. 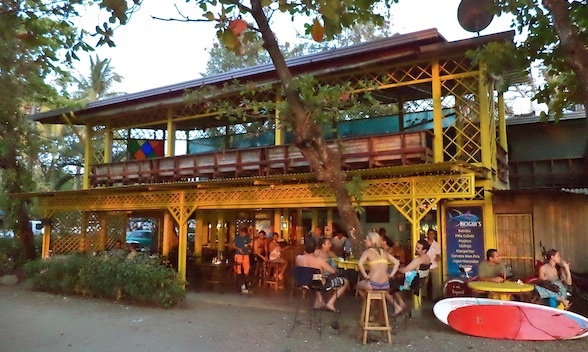 Join the locals for cocktails and bocas and a front row seat on the beach for a beautiful Tamarindo sunset. Dinner specials include the best fish in town, surf and turf, kebabs, ceviche and shrimp tacos. Save room for Nogui’s famous cream pies.